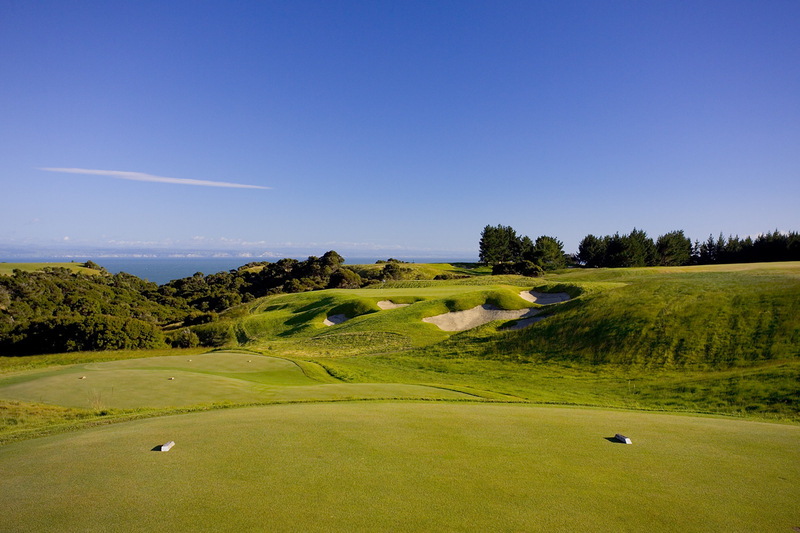 Situated on the East Coast of New Zealand’s North Island, Cape Kidnappers is a sumptuous five-star golf resort designed by American architect Tom Doak. 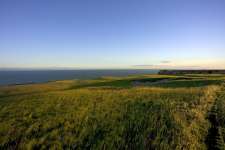 The course occupies part of an isolated 5,000-acre sheep station and incorporates stunning sandstone cliff fingers that plummet 500 feet down into the waters of Hawke’s Bay. 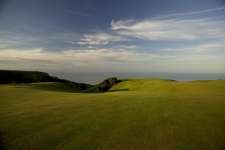 With a number of holes running toward and away from these cliff edges, and even routed along the bluffs, this is one of the most beautiful modern layouts in golf with some unforgettable coastal views. Greens throughout the course are excellent, and typically contoured to reward precise approach shots kept under the hole. Due to the severity of winds that frequently whip across the heads here, the fairways are very generous with Doak giving players plenty of width and only bunkering holes when absolutely essential. Unusually, given his strategic design philosophy, there are a number of hit anywhere holes. Slashing away wildly on fairways like the 2nd, 4th, 12th and 15th, for example, is unlikely to cause too many out-of-position problems. 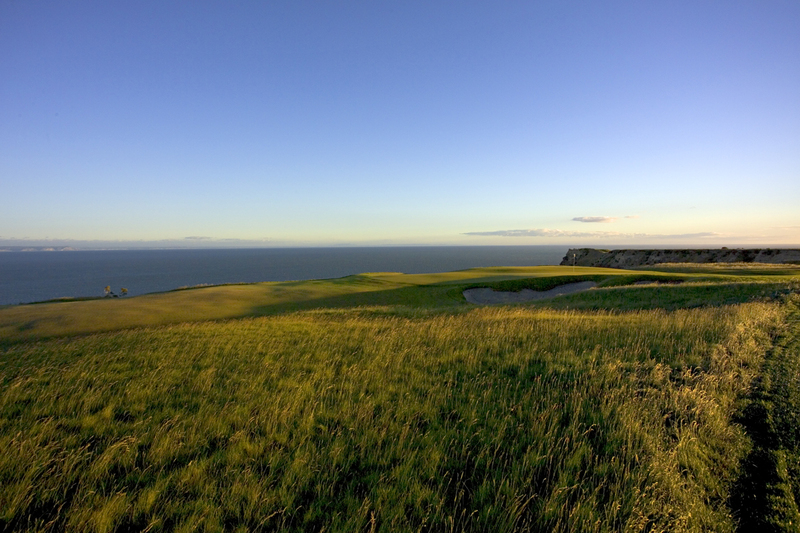 Cape Kidnappers starts away from the magnificent sea views, with the early holes routed across a broad sweeping landscape that gives little indication of the excitement to follow. With its left side collapsing hundreds of feet down into a cove and a split fairway offering two distinct paths into a plateau green site, the 5th is a superb hole and a wonderful introduction to Kidnappers’ infamous cliff-side area. The next is a smashing seaside par three across a deep gully while other standouts on the front nine include the strategic opening hole and the plunging par four 7th. On the homeward nine the real quality starts with the par three 11th and the long, falling 12th, which features a gorgeous Bay backdrop and follows an expansive shelf that narrows as it feeds into a yawning ravine. 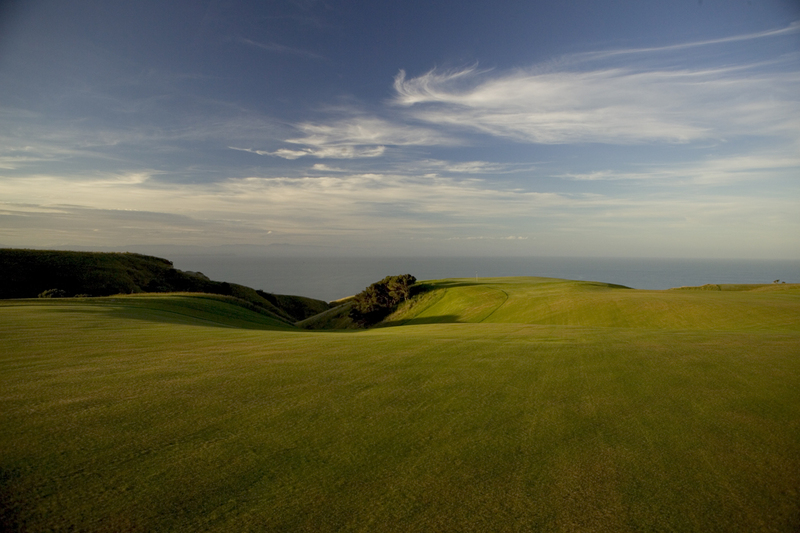 Perched atop a ridge, the 13th is then a beautiful short hole that falls sharply left into the ocean, its horizon green contoured through the center to feel much smaller from the tee than it actually is. Also worthy of note is the punchbowl green on the 18th and the brutal par four 17th, which plays along a gully before crossing a tightly bunkered shelf. Most interesting of all, however, is the 15th. Named Pirate’s Plank, this is a long, wide and flat par five that follows a massive cliff finger as it gently heads down towards the edge of the earth. Bunkerless and strangely bland given its incredible surroundings, the hole basically demands two long and strong woods followed by an approach that is not overhit. On a property so visually dramatic, the only question mark some may have with Doak’s work at Kidnappers is whether a more decorative designer, such as Tom Fazio or Jack Nicklaus, could have extracted more from such a site. Certainly a hole like 15 would have looked very different done by another architect but there is, in fairness, a substance to Doak designs that the others sometimes lack. 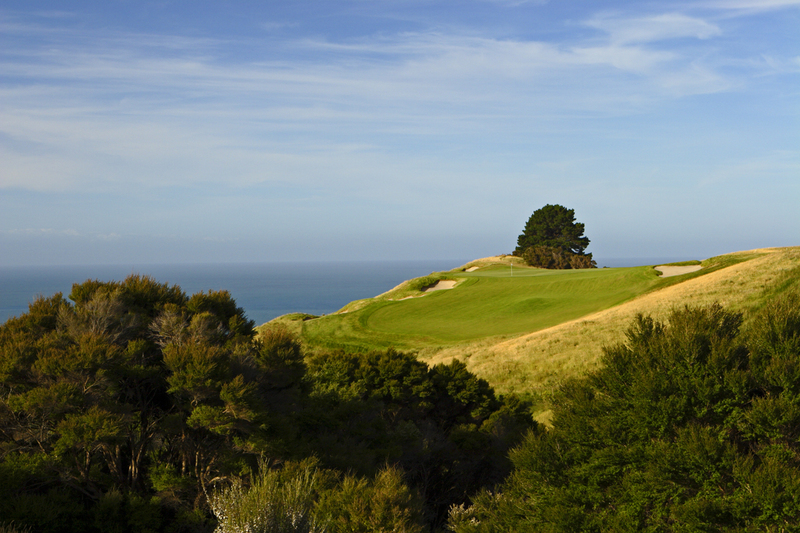 Though perhaps surpassed by his newer creation at Tara Iti, there is no denying that the 2004 opening of Tom Doak’s Cape Kidnappers course helped propel New Zealand to the forefront of global golf tourism. It remains a beautiful golf course to play, and part of an impressive collection of modern masterpieces down in the Australasian region.